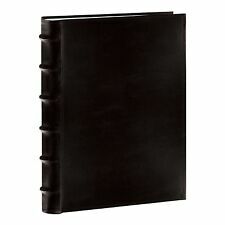 Pioneer Sewn Bonded Leather BookBound Bi-Directional Photo Album, Holds 300 4x6" Photos, 3 Per Page. Color: Black. Photos are displayed three per page. Photo safe: Acid, lignin and PVC free. ManufacturerPioneer Photo Albums. item 1 Pioneer Sewn Bonded Leather BookBound Bi-Directional Photo Album, Holds 300 4x6" -Pioneer Sewn Bonded Leather BookBound Bi-Directional Photo Album, Holds 300 4x6"
item 2 Pioneer Sewn Bonded Leather BookBound Bi-Directional Photo Album, Holds 300 4x6" -Pioneer Sewn Bonded Leather BookBound Bi-Directional Photo Album, Holds 300 4x6"
item 3 Pioneer Sewn Bonded Leather BookBound Bi-Directional Photo Album, Holds 300 4x6" -Pioneer Sewn Bonded Leather BookBound Bi-Directional Photo Album, Holds 300 4x6"
item 4 Pioneer Sewn Bonded Leather BookBound Bi-Directional Photo Album, Holds 300 4x6" -Pioneer Sewn Bonded Leather BookBound Bi-Directional Photo Album, Holds 300 4x6"
item 5 Pioneer Sewn Bonded Leather BookBound Bi-Directional Photo Album, Holds 300 4x6" -Pioneer Sewn Bonded Leather BookBound Bi-Directional Photo Album, Holds 300 4x6"
This is my 4th album. Best of what is available.